From a varied people class group, African American is one of the ethnic groups. The term African American usually denotes a class of black people that are from the United States. In that way,these are Americans that have either partial or full ancestry from the racial groups of black Africans. History features that African American belong to the children of slaves that were forcefully been brought from the homelands of Africa to work. The African American women style their hairs in a different way. Because of the thick, tighter and curls hairs that these black people have they carried unique hairstyles. Their hair pattern is completely different from the people of other races. Because of their root connectivity with the African culture, they generally tie their hairs in a tight pattern in order to lengthen them. 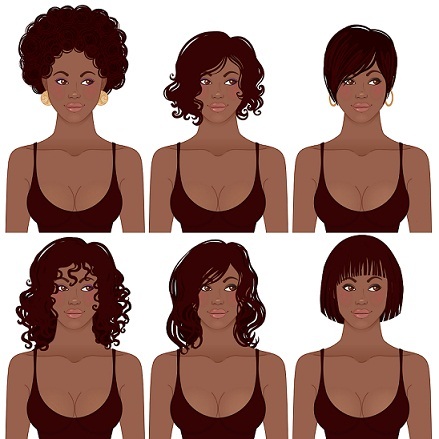 African American group hairstyle is varied greatly, as their hair is the most prominent part of the body and their hair also symbolizes their culture and spiritual importance. The most natural hairstyle the group follows is cornrows in which hairs are tightly coiled up. The women also tried many unnatural processes like chemical and heat treatment but that resulted in hair damage and so they start keeping hair in a natural way. Below are the list of best African American Hairstyles which are very alluring. You can make your look so passionate with the help of below hairstyles. While Rihanna is Jamaican her style is synonymous with the average African American. It’s a short crop which compliments her slender frame and highlights her famous milky-way tattoo. Non maintenance and versatile, it is a fuss free African American hairstyle. Those who want a break from the routine of long curly hairs are sure to find this hairstyle refreshing.